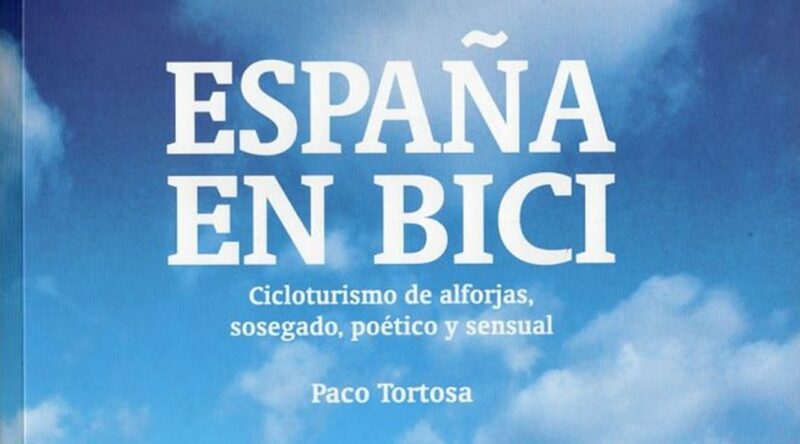 Paco Tortosa is a professor of the Valencia University who just published “España en Bici” (Spain on Bike), with the subtitle “Cycle-Touring with saddlebag, peaceful, poetic and sensual”. A declaration of intention of some values that Paco connects with cycle-touring and more in general with his way of understanding life. 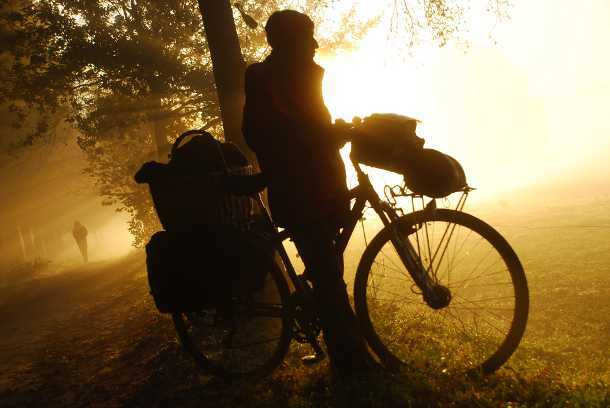 We leave for futures posts the questions about the values that are or were traditionally associated with people, who on the whole, do activities in nature and the cyclists who do routes on bikes in Spain specifically. What interests me about the book is the quantity and variety of cycle-tourism routes that Paco has designed and documented. The bike routes through Spain present a great variety of itineraries in very different areas. Some tours with an immense and diverse cultural richness. The project has its’ origen in a previous 1984 edition that became a classic of cycle-tourism in Spain. This edition updates the itineraries of more than 7000 kilometers divided into 28 routes that have undergone significant adaptations due to the changes that have occurred in our geography in the more than 30 years that have passed between the two books. The project has its’ origen in a previous 1984 edition that became a classic of cycle-tourism in Spain. This edition updates the itineraries of more than 7000 kilometers divided into 28 routes that have undergone significant adaptations due to the changes that have occurred in our geography in the more than 30 years that have passed between the two books. Paco presents a very personal vision of the routes that relate his experiences, curiosities and points of interest at the time of doing them in the form of stories. At the end of each route a page is included that has a map, distances, profiles, advice and more technical recommendations about every route. If we add up these 28 bikes routes in Spain, the multiple green-ways that cross the country, the different variants of Santiago Way and other more local routes, we have a vast quantity and variety of itineraries. Without doubt, Spain is a country to visit and explore on bikes!! !